development (CID) of a multiple unit building. In its physical form it is indistinguishable from a condominium building. However in their legal structure they are oceans apart. which is about the broadest forms of ownership allowed under the law. Please take a look on the picture above: Can you tell if it is a cooperative or a condo, by looking at it? In a cooperative setting, a corporation holds title to the land, the building and other improvements. Each unit owner buys stock in the corporation for the exclusive right to use a particular unit for the life of the corporation. The unit owner is assured of this right through a proprietary lease. Co-op is, perhaps the form of home ownership that can be the most restrictive of them all. However, to many of those who seek this form of dwelling, this is exactly one of the traits they like: As long as there is no discrimination of the protect groups, they can bar anyone they feel is not a match to the membership roaster. Please be sure to read my entry Rejection of Famous People below. This is an unusual housing legal entity is usually a corporation – often times a limited liability company – LLC, that owns a piece of real estate that can consist of one or more residential buildings. This is one type of housing tenure where the corporation has a superior right above yours. Each shareholder is granted the right to occupy one housing unit [naturally an owner can simultaneously own more than one unit] – please see below, that it sometimes subject to an occupancy agreement, which differ vastly to an ordinary landlord-tenant lease. The occupancy agreement will specify the governing rules. TIP: A very important distinction to make is that that shares of stock and the proprietary lease is what owners hold are considered personal property NOT real estate property! Each member have occupancy rights to a specific unit within the housing cooperative as outlined in their "occupancy agreement", or "proprietary lease" which differs in many ways from a standard lease. Typically each shareholder has only one vote. Whichever form of voting is employed it is necessary to conduct an election among shareholders to determine who will represent them on the board of directors, the governing body of the cooperative. The board of directors is generally responsible for the business decisions including the financial requirements and sustainability of the co-operative. Although politics vary from building to building and depend largely on the wishes of its members, it is a general rule that a majority vote of the board is necessary to make business decisions… But I would advise you not always to count on it. In a cooperative, as much as the other CIDs – subdivision, condo or town home, members will elect a board of directors from amongst the shareholders, usually the annual general meeting. In smaller buildings, all members may sit on the board, what just makes some sense to me, as long as there is a clearly defined chart. The board typically elects its own officers, such as a president, vice-president and so on, in the same way I have already pointed out in other types of communities. The board also may, then, establish committees from among the shareholders to either handle the business affairs of the co-op or make recommendations to the full board on such issues as its finance, membership and maintenance of its housing units. The board will be crucial to accept or reject the application of potential new members. It is very important to keep in mind that not all states allow financing of cooperative apartment homes. Actually I should put it the other way around: Financing of cooperatives is available in a handful of states. Therefore prospective buyer will have to have means of buying their co-op apartment all cash or secure private financing. Obviously, in the states that would allow financing for this type of housing, it can be financed through the normal loan financing programs, all other factors been in sync with the lenders’ guidelines. In this case it will be similar to financing a condo but you should be prepared that much more financial scrutiny will be required. In a house, town home or condominium each individual owner receives a separate property tax. Conversely, a co-op property tax bill will be issued to the entire building!!! Whether it is paid in one lump sum or is divided up in monthly payments, each of the tenants/owners will pay a proportionate share of the taxes in addition to management expenses if any is attached to it. Once that there is just one tax bill, should any of the tenants default on his/her payment, that portion will be divided up by the other tenant/stockholder and they will have to come up with the money to cover the deficit. Those residents who call their co-op apartment as their primary residence will receive a proportionate share of property taxes to claim deduction on their income tax. Upon approval by the board, when a sale contract involving a unit occurs, it will not be a straight sales-purchase contract. It will rather be a “transfer of a given number of shares of stock in a corporation, entitling the new owner of such shares to live in a given unit as well as the use of common elements – and, if applicable the use of a giving number of parking stall[s]. A written agreement is then drawn up for the lease in the cooperative building between the owner/corporation and the tenant/stockholder by which the buyer/tenant is granted the right to occupy the unit being transacted. When the unit is again sold, the proprietary lease is then assigned over to the new owner/shareholder along with the stock certificate. 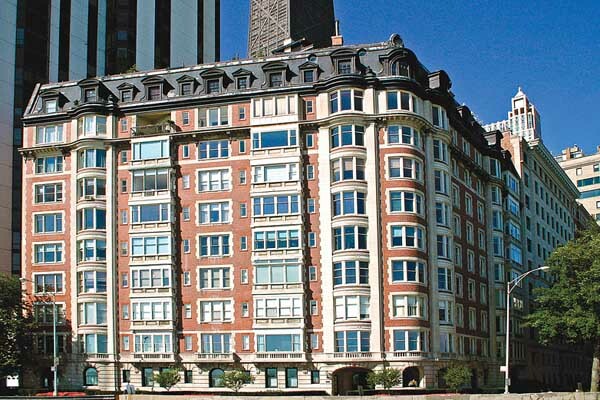 The Dakotas is quite possibly the most well co-op building that is etched in the pop culture as residence to countless household names through the decades as well as the inspiration to the iconic movie “Rosemary’s Baby,” based on the book of same name. Among many other famous people, Yoko Ono has lived on “The Dakotas” since back when John Lennon was still around, which makes it longer than 30 years that she calls that place her home. Their son, Sean Lennon, grew up there and eventually he is reported as one of the people who have residence on the same spot. However it is not a situation where, if you own a co-op, your offspring will be grand fathered in – they will still have to be approved by the board. This kind of home buying is ways more unpredictable than any other form of ownership that I know. Just to stay with the Dakotas for a minute – scores of household names have applied and consequently have been rejected. Cooperative is also used to describe a non-share capital co-op model in which fee-paying members obtain the right to occupy a bedroom and share the communal resources of a house that is owned by a cooperative organization. Such is the case with student cooperatives in some college neighborhoods in the United States. Also there have been many instances where an entity would be the driving force to get enough members to pool efforts to build a community where ultimately the member would end up the outright owners of the unit when it is finally paid for. Although I do not have information of any new development of this kind of proprieties, being active at the time of this writing.